Customers are shopping online today more than ever before. eCommerce is expected to rake in $3 trillion globally by the end of the year. In a space rife with competition, your customers have room to be picky. In a world of instant gratification, you have just minutes to deliver an amazing experience to your eCommerce customers. As a brand, you have to keep up with customer expectations, whether they’re fair or not. No matter your brand’s size, you can learn marketing lessons from the pros who have come before you. And it’s no secret that few retailers do eCommerce as well as Amazon. Amazon got its humble beginnings in 1994 as an online bookseller. Today it’s a huge international company that competes with the likes of Google for your attention and cash. Why is Amazon so successful? It’s largely due to their customer loyalty. Amazon was founded on the idea of customer-centric experiences. As a result, the brand grew organically through repeat purchases and referrals, as well as smart advertising. You can also win loyal customers for your brand. Win over any customer with these lessons from Amazon. The audience is an obvious first step for marketers, but so many people make missteps with audience targeting. Customers are the ones using your eCommerce site. As marketers, we can’t assume what the customer will want; we have to employ data to see how they use the site and what they need from us as a brand. Make the most of every dollar by understanding your audience. The good news is that, once you ace your audience pain points, you’ll know precisely where to allocate precious budget resources. Amazon has been so successful because of their customer-centric culture. The retailer is famous for how it collects and uses data to encourage purchases. Amazon tracks each user’s shopping history, behavior, and other factors like average order total. Thanks to its years of data for each customer, Amazon understands buyer intent. While smaller brands may have difficulty building such a robust data plan out of the gate, it’s within the realm of possibility for you. Look into marketing automation and tracking tools for the backend of your eCommerce site. This can easily measure how users behave and give you actionable insights to improve your UX. Take a page from Amazon’s book and peek into your customers’ minds through robust data. Experienced online shoppers are natural skeptics. They need a lot of information about your product before they feel comfortable buying. One image and a two-sentence description won’t cut it for a persuasive product page. Amazon can teach us a lot about the art of beautiful, informative product pages. The quality of the product page does depend on the seller, but Amazon encourages all sellers to provide in-depth, useful content on the product page. Why? Because it makes buyers feel more comfortable. This builds trust and encourages people to buy your product. Don’t be afraid to mimic a few of Amazon’s product page features. Reviews, videos, multiple images, and specs can convert a hesitant buyer into a lifelong customer. Customer satisfaction is Amazon’s ace in the hole. They aren’t a perfect company, but their dedication to UX and service makes them a go-to for product-led search and more. You have many competitors in the eCommerce space. Customers can go to any other site and buy products with a few clicks. It’s not enough to have a better product or a better website than your competitors: you have to give an amazing, end to end experience. Customer satisfaction is Amazon’s number-one concern, and it should be yours, too. Digital marketers’ efforts should connect with customer satisfaction efforts at every turn. When you have happy customers, they refer you to friends and family. Word of mouth is a powerful and incredibly affordable way to market your business. 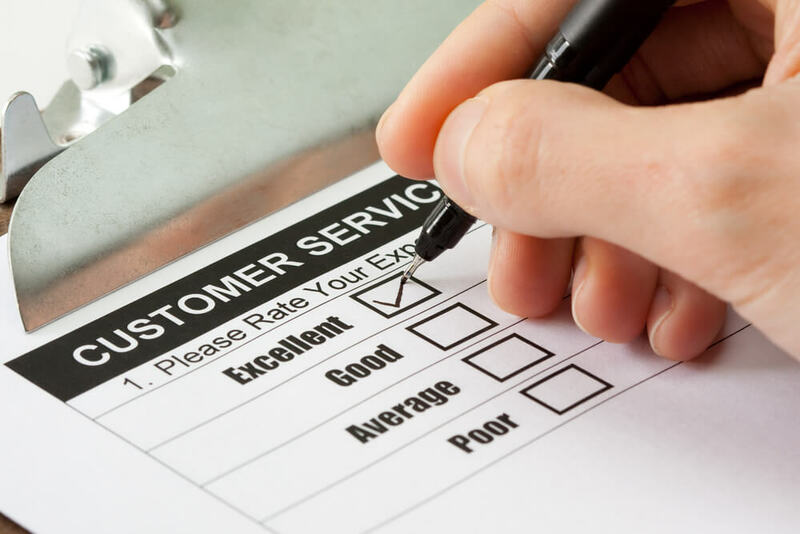 If you want to cut marketing costs and improve sales, customer satisfaction is a must. Allocate more budget resources to the customer experience. Live customer representatives, chatbots, and web developers are important investments that improve your eCommerce experience. Make all forms on your site as short as possible. Don’t require a login for checkout, either. Always enable guest checkout for simpler service. Encourage reviews and be transparent about shipping costs and taxes. Remember, it isn’t worth investing big bucks into your marketing department unless your customer service is up to snuff. Optimize your process first, and then toot your own horn. Amazon didn’t grow because it followed conventional advice. Instead, Amazon used its trove of data to make bold choices. Did these experiments backfire? Yes, occasionally. But more often than not, Amazon’s experiments in UX and customer behavior led to more sales and long term loyalty. For example, Amazon used to run TV ads. After collecting the data, they realized TV ads were a failure and contributed little to their bottom line. On the other hand, Prime was a very successful experiment. Contrary to popular belief, Amazon doesn’t make much money on Prime. They consider the financial losses of Prime to be part of their marketing costs because it encourages people to shop with Amazon. You never know what will be your next great idea. Experiments make your brand grow more quickly and gain a competitive advantage in a crowded market. Brands should already be split testing landing page elements like images, layout, and text. Branch out and try new experiments, offerings, or features. Make sure the experiment is measurable so you can determine its direct impact on business. eCommerce is a cutthroat space. You’re connected to customers like never before, but it can still be challenging to nurture them into loyal customers with so much competition. Look up to Amazon for important insights into marketing your brand. These tips will give you a competitive advantage to ace the competition and thrive for the long haul. But we know it can be hard to do this by yourself. That’s why Logical Media Group helps brands market their businesses for better results. Give our Amazon experts a ring to pick our brain about your brand.